IGN has featured Forza Horizon 4 as their IGN First title for June 2018 and from this have produced several videos that take a deeper dive into Playground’s latest open-world racer and its overall ambitions. In their latest video, they had a look at some of the real-world inspirations for Forza Horizon 4 and its take on the beautiful, diverse landscapes of England and Scotland, comparing them to the in-game results found in Playground’s historic Britain. The Forza Horizon series has always done a great job of authentically capturing and recreating its chosen locations. Be it Colorado for Forza Horizon, Southern Europe for Forza Horizon 2 or Australia for Forza Horizon 3. Whilst the team at Playground Games aren’t trying to recreate an entire country like The Crew 2, they do focus on select destinations – making them as realistic and as authentic as possible to make the world feel alive, rich and complete. You might remember Forza Horizon 3’s excellent take on the Great Ocean Road, The Twelve Apostles or even the city of Surfer’s Paradise. IGN’s video showcases that same attention-to-detail being made in Forza Horizon 4, with the Chesterton Windmill in Warwickshire, The Scott Monument in Edinburgh, the Snowshill Cottage in the Cotswolds, and Edinburgh Castle all being compared to their real-life locations from their in-game counterparts. 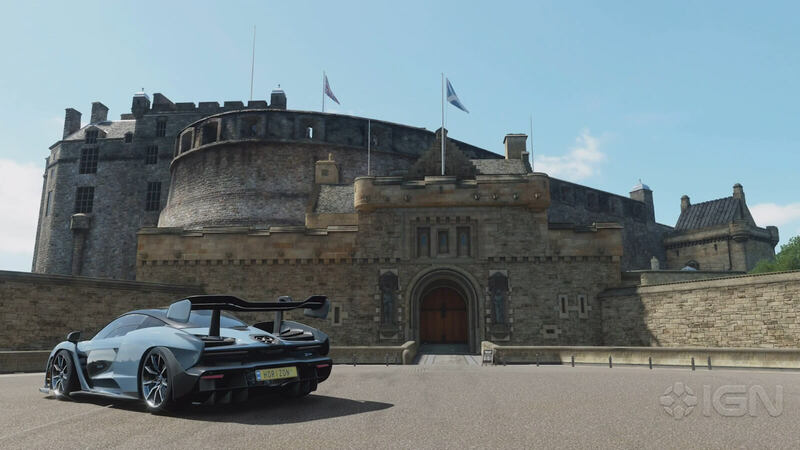 Edinburgh Castle is also one of the new acquirable properties in Forza Horizon 4, where you can upgrade, modify and explore your car using the Forzavista mode.